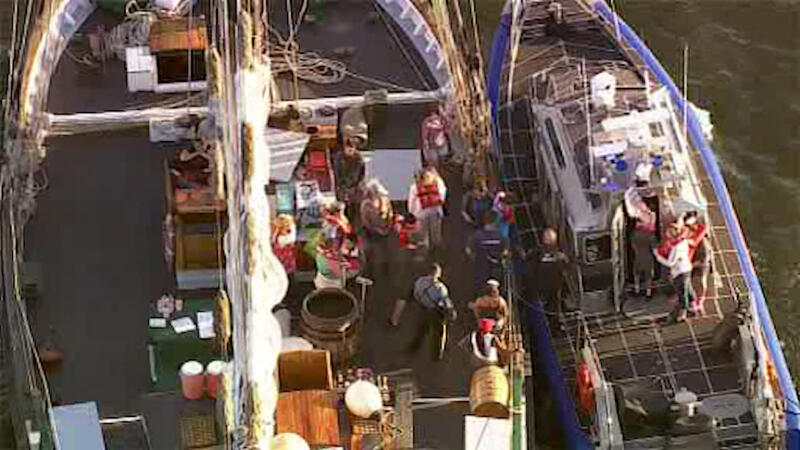 NEW YORK (WABC) -- Dozens of young students are back on solid ground after an engine failed on a tall ship during a class outing on the Hudson River. The Clearwater's engine failed on its way back to dock in Yonkers Monday afternoon. That left 37 passengers, most of them children, stranded for a short time. The kids were transferred to two other boats and taken to shore.